The food from Cádiz incorporates many different influences, like Phoenician, Roman, Arab and colonial. Being located between the sea, the mountains and the farmlands, Cádiz has recipes that combine a wide variety of ingredients. 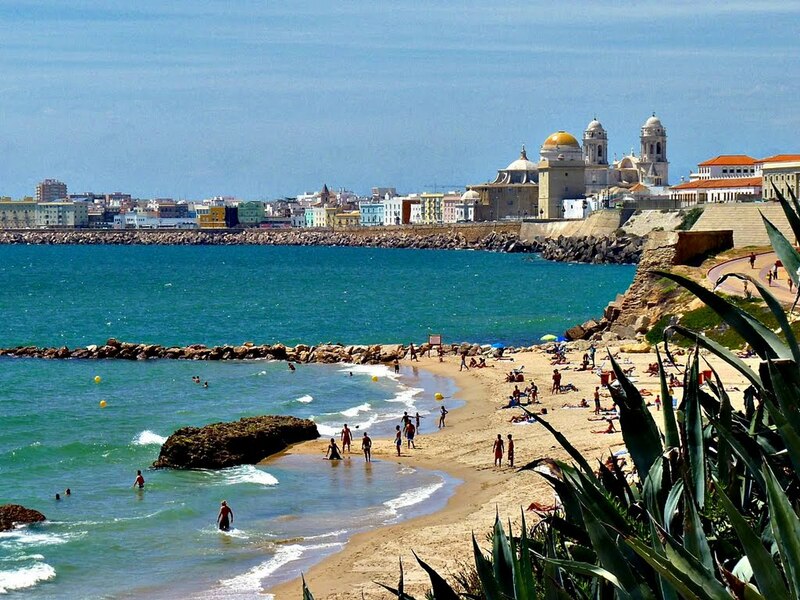 The Atlantic coast gives Cádiz plenty of fish and seafood. Anyone visiting this region needs to try the classical fried fish that, although easy to find in the entire coast of Andalusia, the best one is served in Granada. You will want to have it many times while you are visiting, and each time it will delight you, even surprise you. Some of the fish that you can try in this province are dogfish, tuna, anglerfish, snapper, sea-bass and the ever-present sardines, as well as a very varied selection of seafood. They are used to make an endless list of fish and seafood stews like fish soup with bitter oranges, fish a la teja (cooked on a roof tile), urta a la roteña (fish stew made with tomatoes, onions and green pepper), marinated dogfish, shrimp omelette and delicious anemones. The tuna from Almadraba is so delicious that in the past few years the catch has been exported almost in its entirety to Japan, where they pay very high prices for it. There is a lot more to Cádiz than just excellent fish. Meat also has a special role within the local gastronomy. Pork, baby goat, retinto-breed beef and game (both small and big) are common, with recipes like lamb casserole, Jerez-style cow's tail, sautéed steak, kidneys with and giblets. There was a bullfighter in Cádiz called el Chiclanero that was an excellent cook and whose speciality was bullfighter-style partridge. This dish is still served in Jerez and Chiclana and it is a delicacy that you must try. This region yields an excellent cabbage, used to make delicious stews. Olive oil, cheeses, dried meats, sausages and delicious bread (like breadsticks and regañas) are an important part of the local cuisine. Artichokes in olive oil and the classical minced meat soup are also delicious recipes from the extensive local repertoire. Turrón from Cádiz (a bar made with almonds and honey, similar to nougat) is multicoloured because of the caramelized fruits used in its making and constitutes a very popular dessert which, along with marzipan eels, gets mentioned in traditional songs. Tocino del cielo is another delicious dessert, traditionally made with the egg yolks that were discarded in the process of clarification of sherry, which used the whites to drag unwanted substances out of the precious wine. In the province of Cádiz we have two Designations of Origin: Jerez and Manzanilla de Sanlúcar de Barrameda, great wines that are capable of comprising the whole oenology of a country. Sherry wines from Jerez, in addition to being a great beverage, is used as a seasoning for many of the region's traditional dishes.